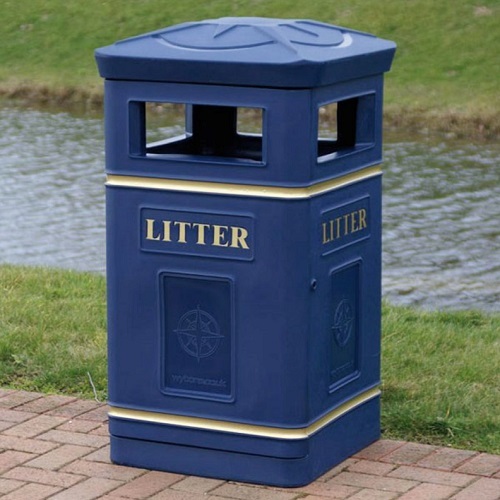 The Compass Litter Bin is a premium plastic litter bin that gets its name from the moulded compass design on the lid of the bin. 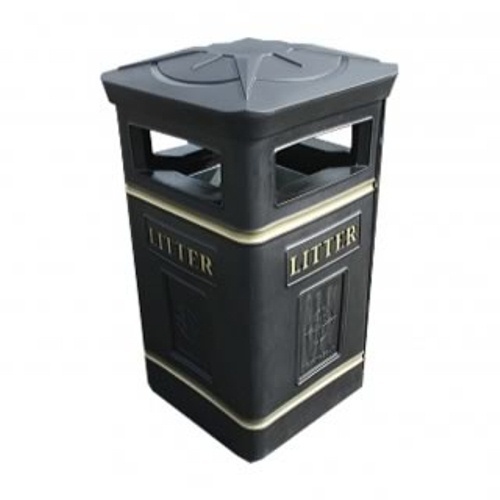 The Compass bin is a popular choice in the United Kingdom and is widely used in schools and by councils. 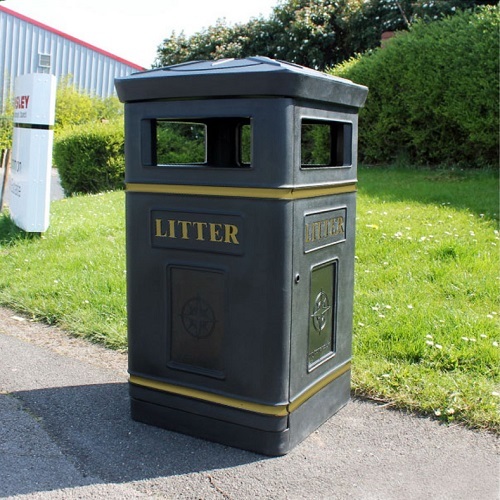 The bin is manufactured from tough and durable polyethylene and will not fade in colour when exposed to sunlight for long periods. 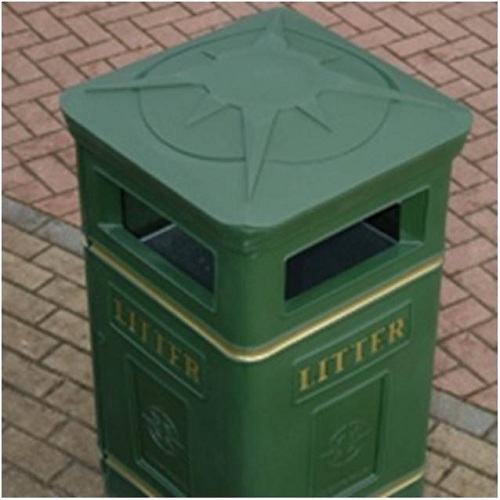 Polyethylene will never rust or corrode so the bin is guaranteed a long life time. 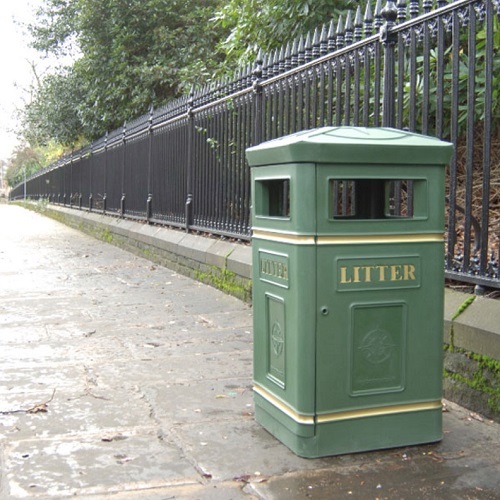 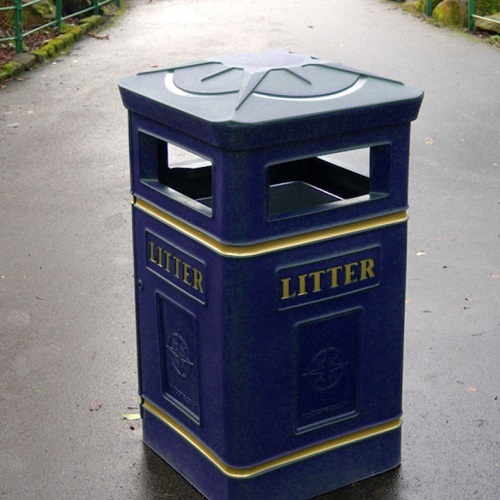 The elegant design combined with the Victoriana style gold banding and lettering give the bin an appealing design suitable for a wide range of locations and the four large apertures give full 360 degree usability. 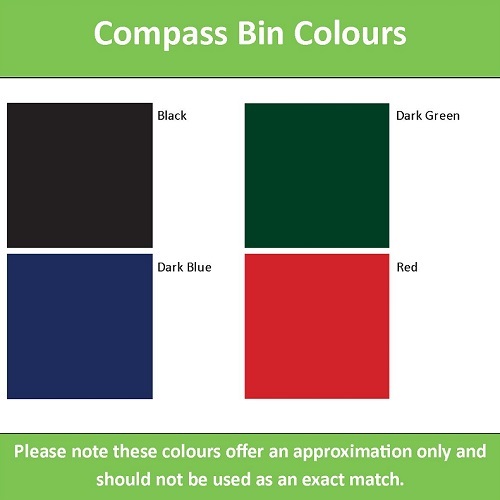 An important feature of the Compass bin is the slam lock which is a stainless steel lock which is easily opened using a square T key and closes with just a push of the door against a spring loaded boss. 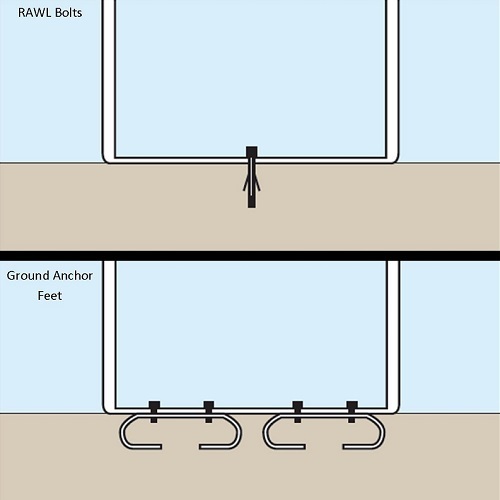 The door has a full 90 degrees opening and makes the removal and emptying of the liner much more efficient. 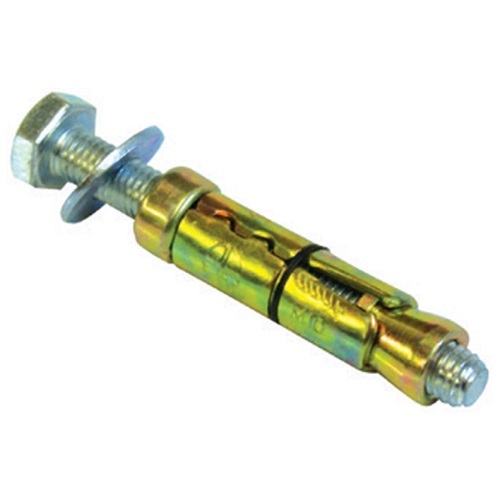 The hinge system is a full length pivoted steel rod and is very reliable even after thousands of openings. 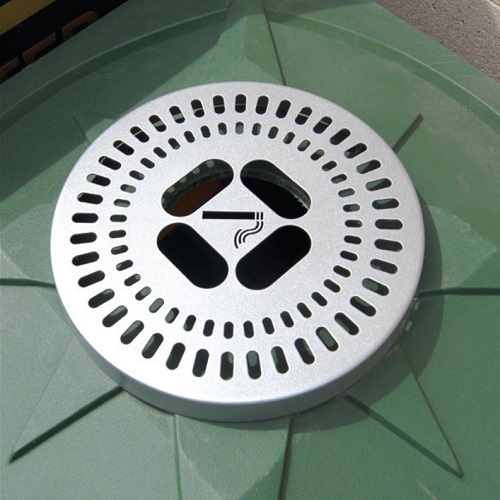 An optional Easyfit ashtray is available and this features a spring loaded butterfly bottom for quick emptying into the liner below.